Ok...so quite some time ago I started work on my 2 year old's bedroom... I wrote about it way back here. I have two more things to finish, then I'll show you the complete room! 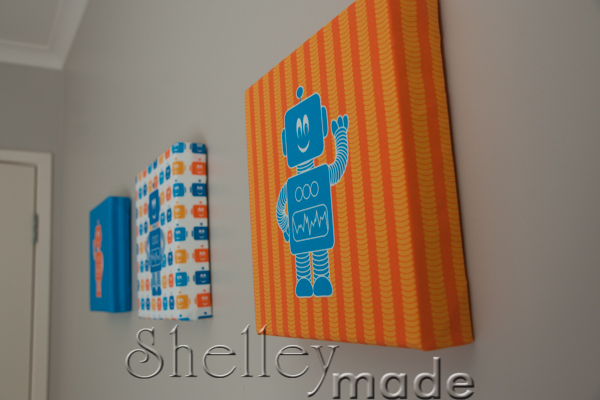 Until then...the first in a series...the wall canvases! I decided he needed some art to match the rest of the room I was creating for him. 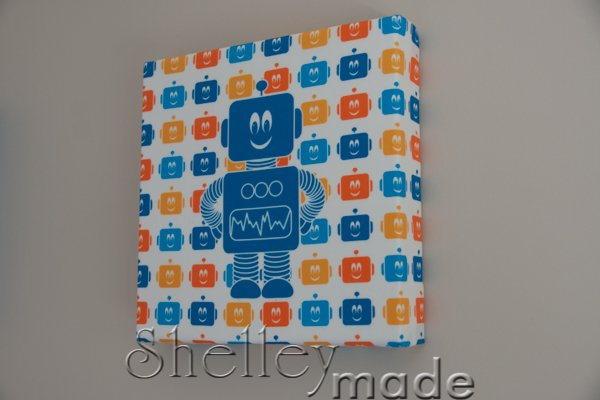 My son loves robots, so I designed a range of fabrics for him, and his room, over on Spoonflower. 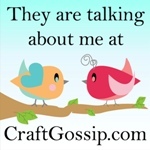 I started with the canvases - for a quick project to get underway with. 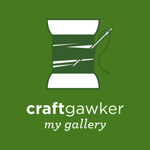 I didn't stretch canvas over frames. 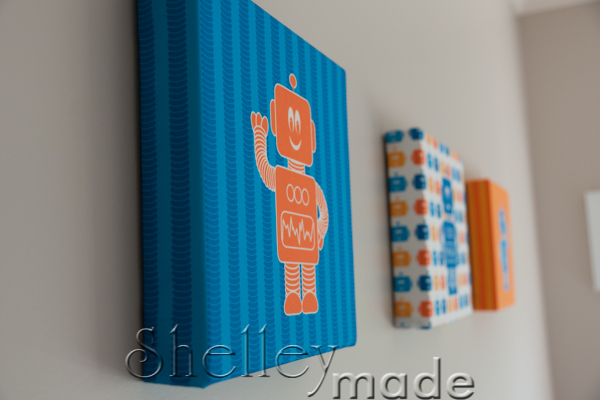 I took the simpler option of buying pre-stretched canvases from a local art store. Mine measure 8 inches by 8 inches. 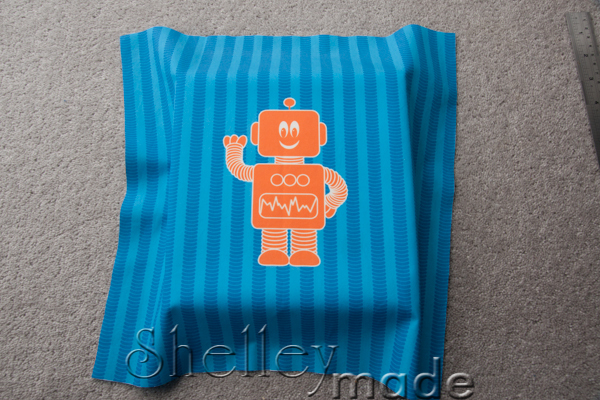 This allowed me to use a regular weight fabric (I used Spoonflower's Cotton Poplin), rather than a heavier weight canvas-type. You could use any fabric at all using this method - regular quilting cotton would be just fine. The best thing is that I could get an exact colour match to my curtains, quilt, etc, etc, by using the same fabric type. 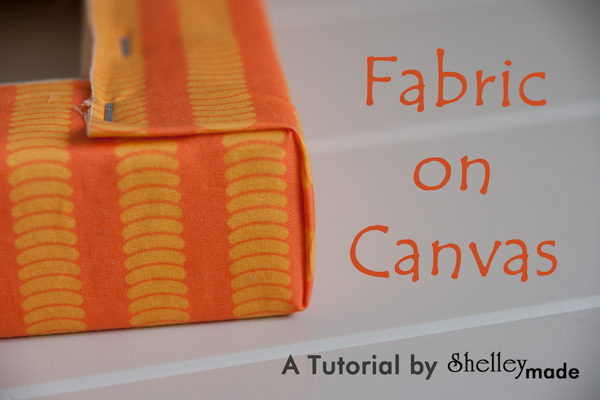 To calculate how much fabric you need...take your canvas width and add two times the depth to each side for wrapping. 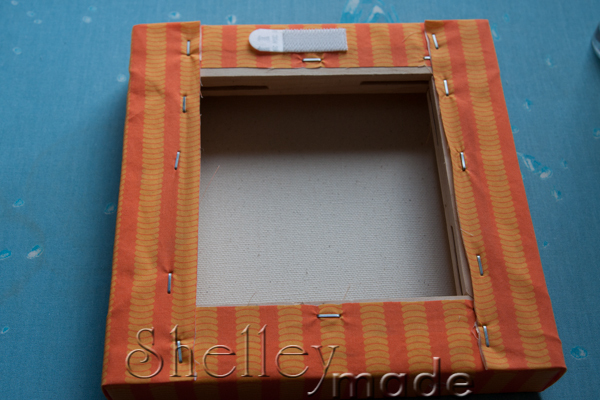 So for my 8 inch square canvases, that are 1.5 inches deep...8 + (1.5 x 2) + (1.5 x 2) = 14 inches square cut fabric. 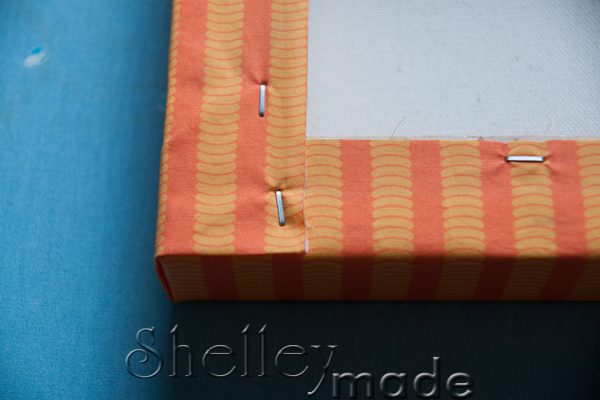 From a fat quarter you can cover a maximum canvas size of 12 x 15 inches, at 1.5 inches deep. 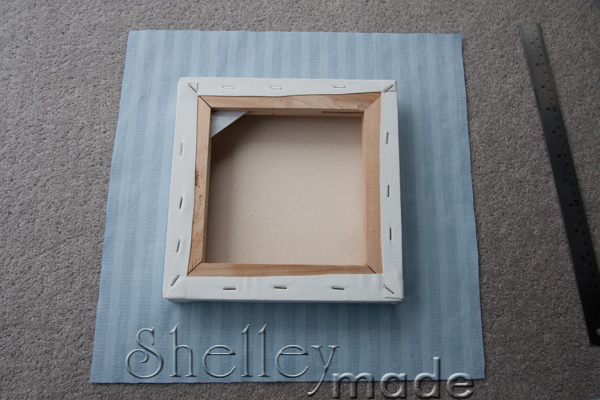 Place the fabric over your canvas so that the canvas is centred underneath. If you have stripes like I do - you need to be careful with your positioning so that they are straight. I found the pre-made canvases were not perfectly square. 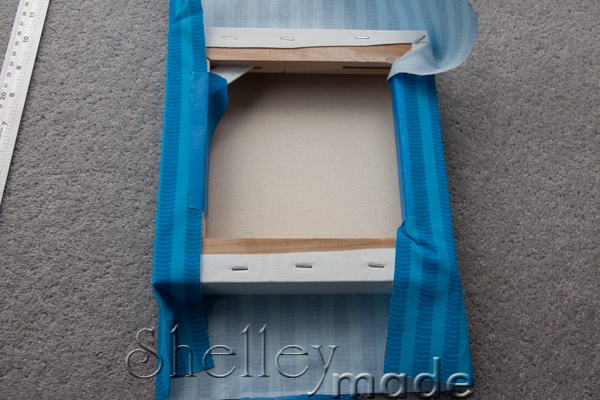 Pull the four sides in and tape them in place temporarily - pulling them in firmly, but not too tight that you would warp the print. Flip it back over once you've done it to make sure you are still happy with the placement on the front. So the back is not perfect, but not too bad for an amateur! The front - very happy with, and so is my wee boy! I love how they look in his room. Next on the list to share with you...the lampshade!